Today marks the first day of fall. This is my favorite season, when the leaves start turning pretty shades of red, orange & yellow, the weather gets cooler, and the holiday season is approaching. This also means it's almost time for the boots, coats, scarves and hats. 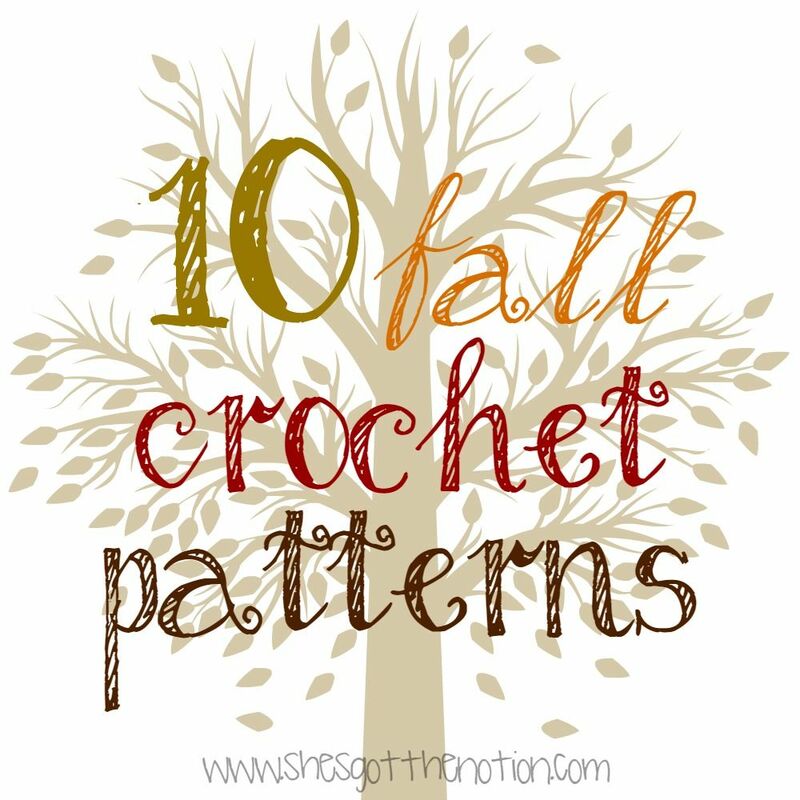 Fall is also my favorite season for crochet projects. Nothing's cozier than slipping into a handmade beanie or scarf on a cold day. So, to celebrate the start of autumn, I've rounded up 10 wearable crochet projects perfect for the cooler months. So here are 10 completely free patterns for hats, scarves, wraps, and gloves that I found on Ravelry.com, my favorite website for finding crochet patterns. My version of the Peak Cap. Read about it HERE. Women's Peaked Cap by Patons: This hat features a chic bumpy texture and a brim, which is accented by two buttons on each side. 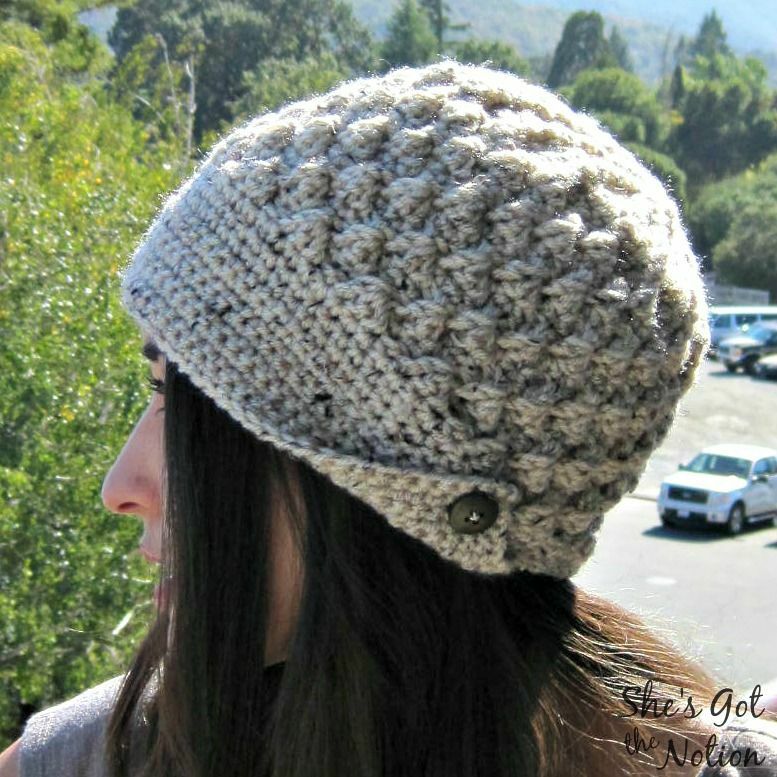 Ups and Downs Crochet Slouchy Beanie by Tamara Kelly: This cute is truly customizable with 4 different crochet stitches, braided detail, and button accents. As a bonus, here's a pattern for matching fingerless gloves you can whip up with the leftover yarn. Urban Shells Beanie by Katherine Crombie: This hat uses front-post double crochets to create a vertical line pattern and pretty scalloped edges. 1920's Cloche Hat by Olivia Kent: This hat is crocheted with bulky yarn and is the perfect chic look for fall. My version of the CloudBurst Shawl. Read about it HERE. CloudBurst Shawl by Tuesday Fortnite: Want a quick and pretty project for fall? This shawl promise to be made in about 3 hours. It looks great draped on the front of the body. Rolling in the Deep Chevron Infinity Scarf by Cre8tion Crochet: This scarf using color blocking and a trendy chevron pattern to create a striking scarf. 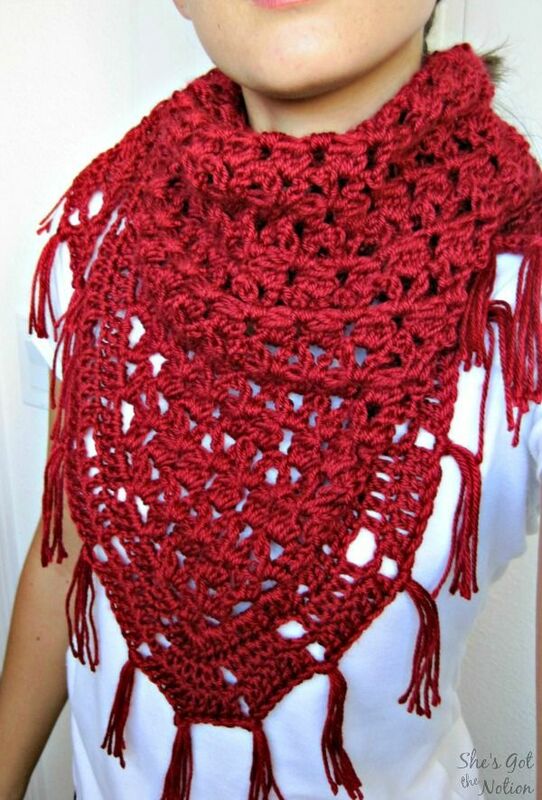 Bulky Stacked Shell Cowl by Cre8tion Croceht: Nothing is warmer or cozier than bulky yarn. This cowl pattern is perfect for a brisk fall day. Mrs. Fitz Inspired Mini Mitts by Polly Foo Foo: This color blocked mitts are great for cooler weather. They're fingerless, so you don't have to take then off to use your phone either. Scalloped Boot Cuffs by Jenny Dickens: Fall weather means boot weather. So why not dress up your boots with these cute and easy boot cuffs. North Woods Slipper Boots by DROPS Design: These boots look so comfy I would want to live in them all season long. Must see! What is your favorite part of fall? Let me know in the comments!